Maintenance on Demand (MoDe) was a groundbreaking global project. MoDe brought together 11 leading companies and academic institutions from around the world. Together they pooled their technical know-how, market knowledge, insight and future thinking to tackle issues of central importance for industry, the economy and the environment. 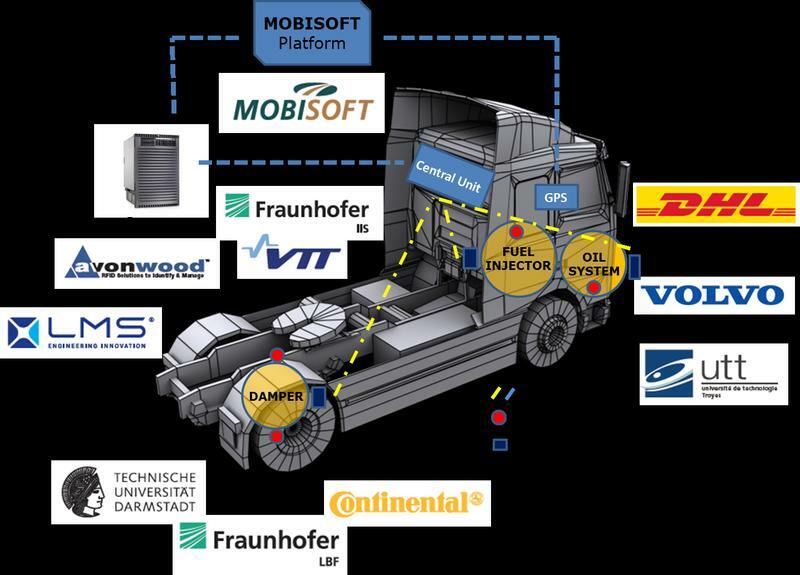 The main focus of the project was to reduce or eliminate completely the possibility of vehicle downtime by developing a commercially viable truck that could identify where and when maintenance was required. The vehicle would also be able to provide alerts on the maintenance needed. The projects’ purpose was to maximise reliability, avoid unplanned maintenance and keep a vehicle on the road with minimal disruption by providing a constant, clear and precise picture of a vehicle’s health at any given time. Developing the technology to give this picture was at the heart of the MoDe project. Energy-efficient wireless sensors picking up signals of damage or deterioration to vehicle parts. A wireless network effectively and reliably connects station units positioned around the engine to a central network. An ongoing process of condition monitoring checks for signs of damage or wear. Signals are sent to a central maintenance platform. Information is analysed based on vehicle information and parts data. A maintenance decision is then taken. Benefits of the system include; chances of breakdowns and accidents are radically reduced by early fault detection thereby avoiding any associated congestion, vehicle uptime is boosted by 30% due to fewer and shorter breakdowns and unplanned stops, remote monitoring, vehicle reconfiguration and ongoing analysis for better decision-making, sub-optimal performance reduced by making sure vehicles are serviced at exactly the right time, Unnecessary part replacements are avoided and driving time to maintenance locations cut down. Fuel consumption is optimized and CO2 emissions cut.